Hi everyone!! I am with the last Fab Bag of the year and it is no less that all the other bags that I have received so far. This month, this is the partyholic theme. So, let’s have a look at the bag and the products inside. 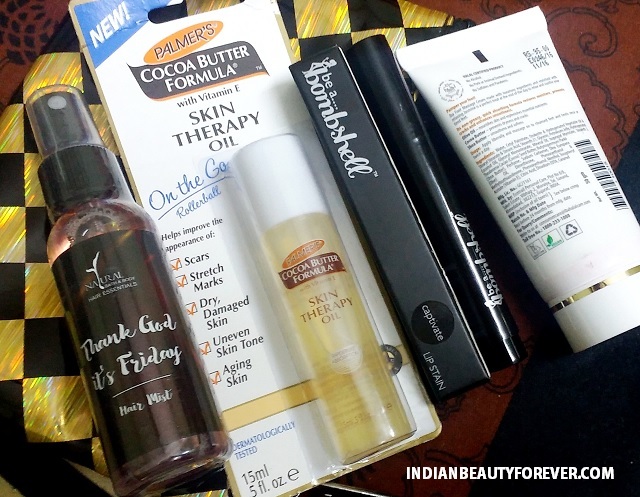 In this month’s bag, I have got 4 products and they are wonderful. 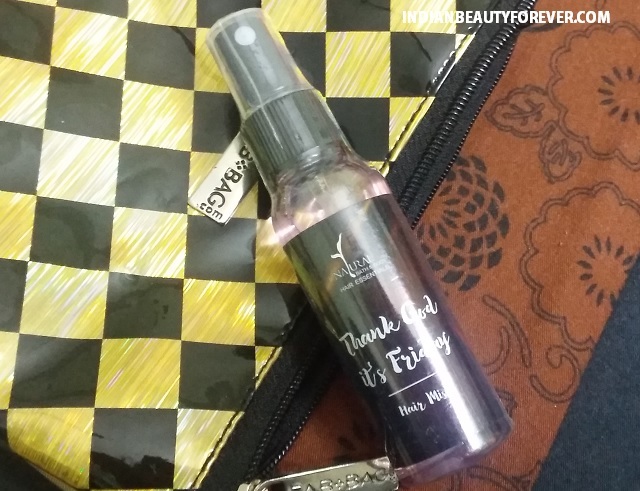 Palmer's Cocoa Butter Formula Skin Therapy Oil This is a small 15 ml pack and this is a good since none of us would like to carry a bulky bottle in a bag when we travel. So, I liked the mini size and you know what dearies? This is very good for the treatment of dryness. 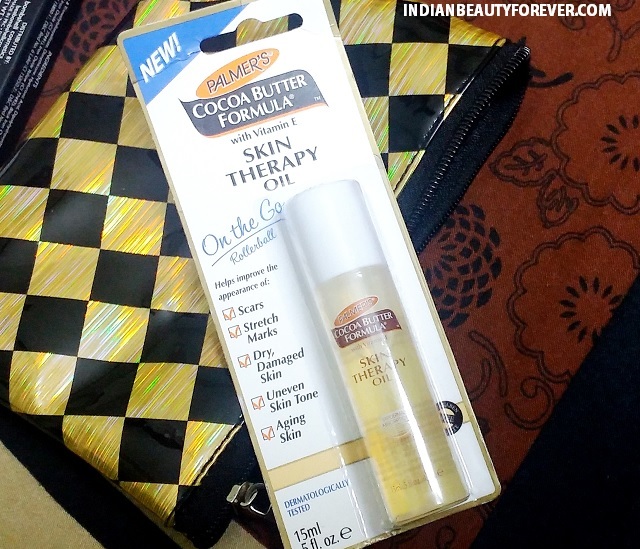 The brand says that Palmer’s Cocoa Butter Formula Skin Therapy Oil is an advanced multi- purpose skin perfecting product that can be used all over the body including the face. It is a fast absorbing, preservative-free, light-weight ‘dry’ oil that can be used daily, to hydrate the skin. It helps improve the appearance of scars, stretch marks, dry & damaged skin and uneven skin tone. This is a blend of carefully selected botanical oils such as Sesame and Canola Oils together with pure Cocoa Butter & Vitamin E. Quite impressive for dry skin. This is a full sized product that is for 750 rupees. This is a hot pink color lip stain. This product must be stored upside down to maintain maximum pigmentation by the way. It looks and feels like a marker that we have used in school or college. I like the concept of this lip stain in marker or sketch pen like packaging. 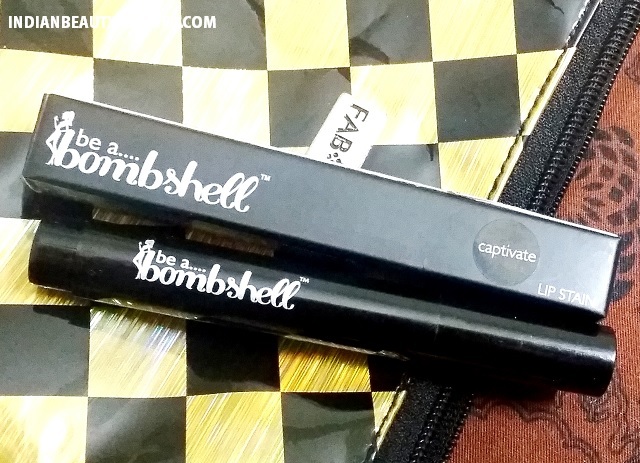 I so love the tiny spray or mist samples, I so like them when I carry the wit me, The ease to use them anywhere is really amazing due to the small size. This is a hair mist by the way. I have used a hair perfume earlier but have not used a hair mist so, this can be tried. Iba Halal Care Nourishing Foot Massage Cream: I just used this product right now and loved the subtle scent and the moisturization. For that price, this is really good. Something worth trying! Overall: I am really happy with the delivery first of all which is very fast and I have received the bag in the first month of the December itself. Secondly, the bag is so pretty. I have given it to my niece already and lastly the products. Just think, in 599 rupees, I got a bag, a hair mist, foot cream, a lip stain and a little bottle of skin therapy oil From Palmer’s. I am satisfied and elated with the products received. 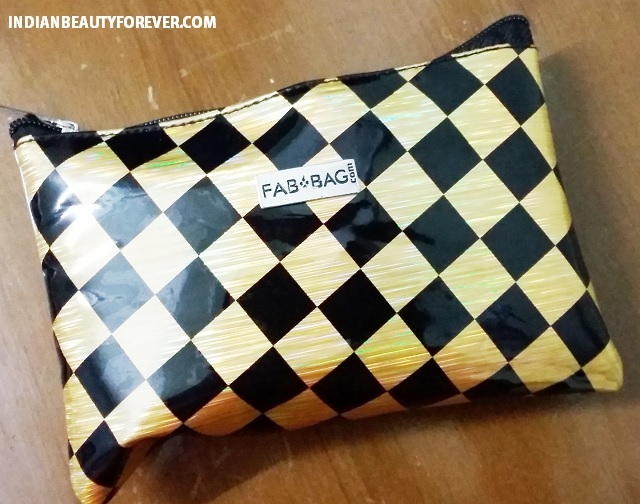 If you have liked the products and the bag, Do subscribe for my Fab Bag soon girls!